Your graduates have worked hard and deserve a seamless, unforgettable commencement put on by a professional production team. And that’s where ISL comes in. Skilled professionals will build your perfect stage, and produce incredible audio and visuals. Whatever you might need—microphones, speakers, staging, production—ISL is prepared to package together any combination. Our production team will provide set up, production, and tear down so you can focus on the most important part of the day: your graduates. 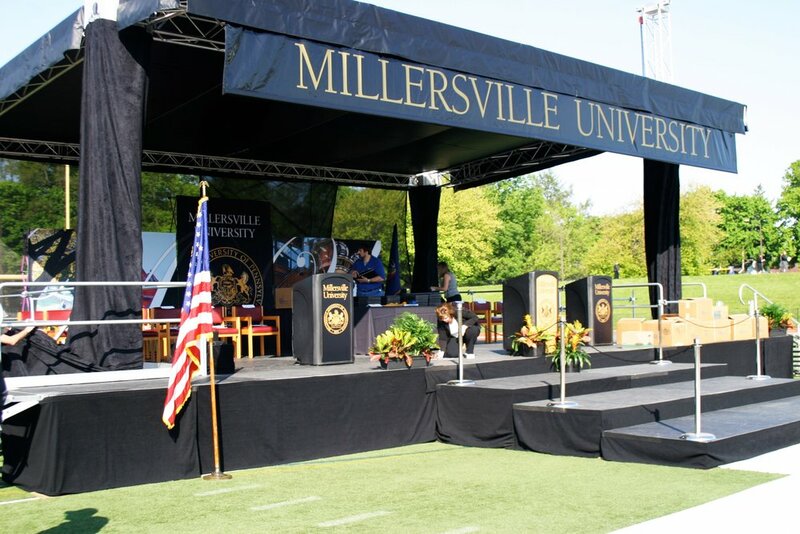 Take a look at our Graduation Gallery to see commencement production we've assisted with in the past at Franklin and Marshall, Gettysburg and Hood Colleges and Millersville University. Give us a call at 717-721-6901 or click the button below, and we’ll get started on your quote.